To kick off Week of the Young Child, Kids Day in the Park will be held Saturday, April 22, from 10 a.m. to 2 p.m. at Rosedale Park, 340 Dartmouth in San Antonio. This family-friendly event promises to provide fun and educational activities for children ages 10 and under and will be held rain or shine. WHEN: Saturday, April 22 | 10 a.m. - 2 p.m.
Close to 2,000 people are expected to attend this FREE spring event. Families will have an opportunity to visit informational booths sponsored by schools and child care centers, non-profit organizations, local businesses and city departments. KLRN’s Education team will share with families activity ideas adults can offer to help prepare the children for school success. Agencies will share information on free parent and caregiver workshops; many of these workshops provide families with hands-on learning activities, free materials and books. Kids Day activity booths include face painting, sensory stations, gross motor activities, science exploration, and arts and crafts areas. 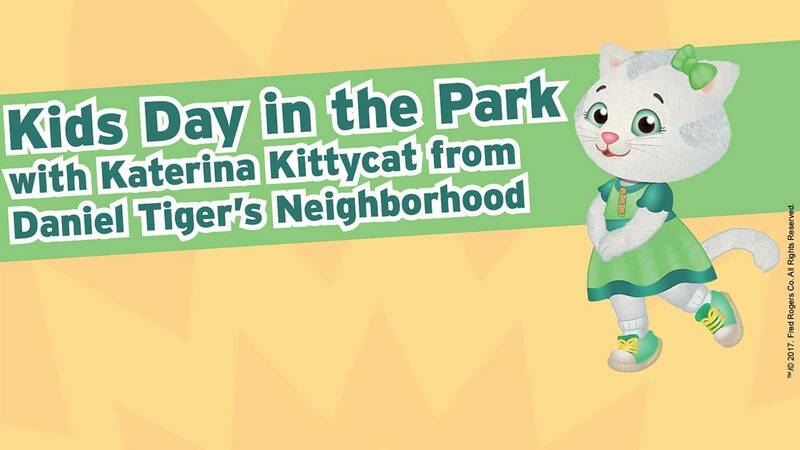 Entertainment will include dancers and musicians on stage throughout the day; mascot characters, including Katerina Kittycat from Daniel Tiger’s Neighborhood. Kids Day in the Park is presented by KLRN Public Television and the San Antonio Association for the Education of Young Children. This event is co-sponsored by the the Boeing Company, the San Antonio Parks and Recreation Department, and numerous other organizations and individuals who have contributed time and in-kind donations in order to make this event happen. The San Antonio Association for the Education of Young Children (SAAEYC) is a non-profit organization with over 300 members. SAAEYC’s mission is to improve the quality of early care and education for the children of San Antonio and surrounding areas. Our organization provides support and professional development for early childhood teachers in efforts to maintain high standards of professional practice. Our members are child care professionals who work in child care centers, public schools, agencies, colleges and universities. Our members are also parents who are committed to raising public awareness and understanding of the needs of young children and their families. KLRN is the Emmy-Award winning Public Television station for South Central Texas broadcasting to a 30-county radius. “The mission of KLRN is to use the power of communications to provide quality programs and services which advance education, culture and community, to enrich the lives of people throughout our community.” KLRN cultivates programs that support the station’s mission and commitment to education. It is this “beyond television” strategy that forms KLRN’s educational outreach model — to prepare children for kindergarten and academic success; to positively impact the quality of care; and to share resources that will enhance classroom instruction.